Colorado received the highest grade in a report released this week by the Center for American Progress that examined election security. The organization examined seven factors, including voting machine certification requirements and post-election audits, in grading all 50 states and the District of Columbia. Colorado received a B, the highest grade given, and was singled out for being the first state to conduct mandatory risk-limiting post-election audits, in 2017. 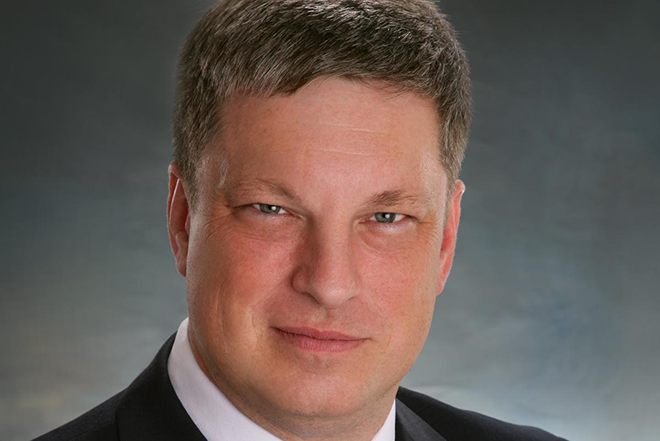 "We're pleased that we received a high grade," Colorado Secretary of State Wayne Williams said. "We're known as leaders in election security." No state received an A; 11 states received a B; 23 states received a C; 12 states received a D; and five states received an F.
Williams believes the Center for American Progress was wrong to ding Colorado for allowing voters who are stationed or live overseas to return their ballots electronically via email or fax. "They don't believe someone who works on a submarine should be allowed to vote," Williams said. "We do." The report states: "Colorado should prohibit voters stationed or living overseas from returning voted ballots electronically. Regardless of the state's secure ballot return system for electronically voted ballots, we recommend that all voted ballots be returned by mail or delivered in person." That's not always possible, Williams said, and noted that Colorado has added safeguards for sending and receiving those ballots. Colorado ranks second in the nation in the number of ballots transmitted to overseas voters based on its voting eligible population. The report also notes that Colorado offers anti-malware endpoint protection software--at no cost to users of the state voter registration system --to monitor and defend against Election Day attacks. "The fact that the state requires election officials to carry out pre-election logic and accuracy testing on all machines that will be used in an upcoming election is also commendable," the report states.